Let’s talk Big Sur hiking! 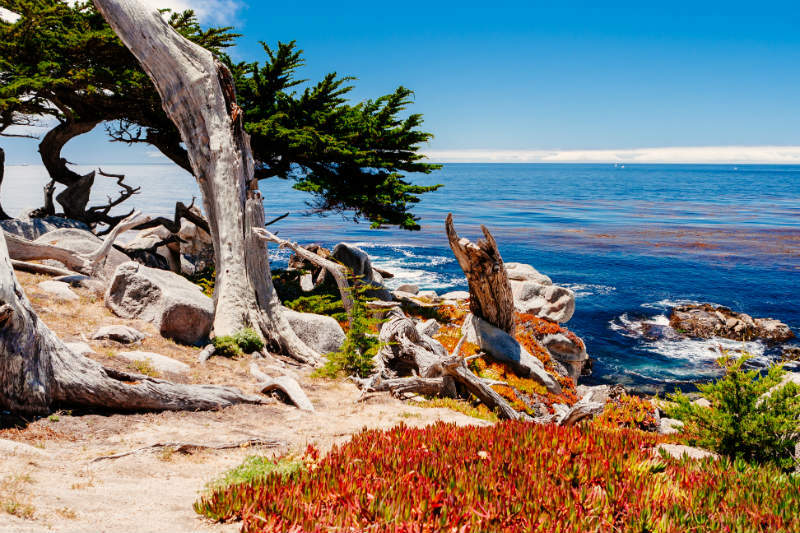 The Monterey Peninsula is a spectacular meeting of soaring mountain ranges and sparkling ocean, and provides the backdrop for many beautiful national parks along the coast. 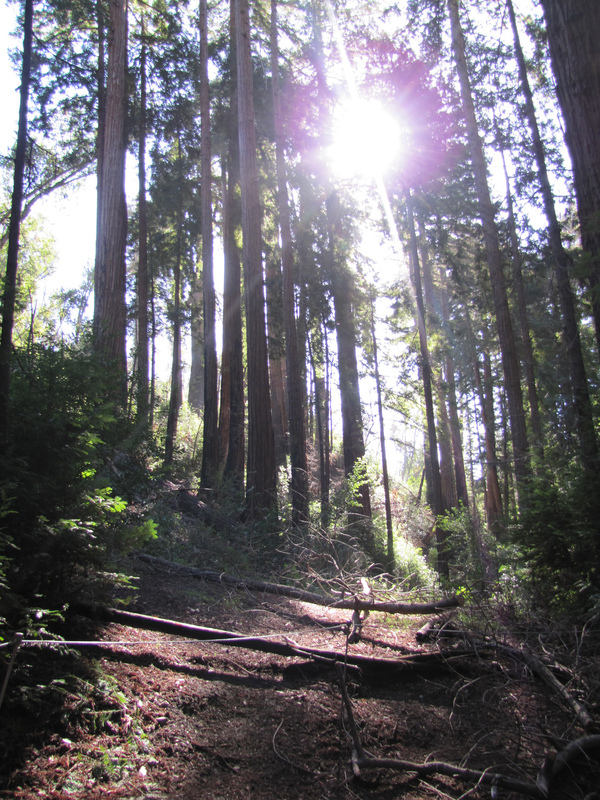 You may have heard of all of the commonly travelled parks: Pfeiffer State Park, Point Lobos, and Point Pinos. We’re sharing a few little known hiking secrets with you: Veteran’s Park in the heart of downtown Monterey for a quick hike with mountain and ocean views, and Garrapata State Park for a 5-mile loop just before you get into the heart of Big Sur. Veteran’s Park is located right in Monterey, though a few feet into the foot path; you’ll think you’re miles outside of the city. The Veteran’s Park path is an offshoot off of Jefferson Street—look for a cement staircase going down into the woods just opposite of the American Legion. An easy hike, you’ll meander through the woods until you get to a camping ground. Continue past the camping ground and you’ll be greeted by a long wooden staircase. Make it to the top and soon you’ll be rewarded by views of towering cypress trees and the Monterey Bay in the background. It’s breathtaking! Plan an hour and a half—perfect for a mid-morning or mid-afternoon hike when your time is short. Garrapata Park is a five-mile loop just before you get into the picturesque Big Sur landscape. For the first thirty minutes or so, you’ll walk along a trail surrounded by succulents, cacti, and prickly pear (if you’re brave enough to get and eat the fruit, let us know!). Just as you start to break a sweat, you’ll enter a stunning redwood forest. Redwoods grow straight and tall and provide a lush, rich forest whose ecosystem is radically different from the drier climate you just experienced. Thirty minutes later, you’ll leave the redwood forest, and begin the summit to the peak—this part of the hike can get hot, so bring lots of water! Once you reach the top, the loop curves back around, and you’re hiking along a mountain ridge with a view of the Pacific Ocean that meets the horizon in a light, misty blue. Plan three to five hours for this trip (driving time included) and bring water and snacks! These two hikes—a longer and shorter option—are sure to quench your thirst to spend time in the natural beauty that abounds on the Monterey Peninsula. Consider this: at 9:00 am you will enjoy a two-course, gourmet breakfast at the Old Monterey Inn, you prepare for a mid-day hike, packing a lunch and taking water with you. You drive south, headed into the picturesque Big Sur landscape and pull off to the left side of the road and hike into Garrapata Park. Around 3:00 you return to the Inn for a massage in our on-site spa. Next, enjoy a glass of wine in our parlor during our complimentary wine and hors d’ oeurves. You’ve made reservations at a local restaurant, and after a delicious dinner, you come back to the Inn, stroll through our romantic gardens, return to your room for a soak in the Jacuzzi tub, and fall into bed—exhausted and happy. Whatever your excursion may include, we look forward to welcoming you to the Old Monterey Inn and the beautiful Monterey Peninsula.